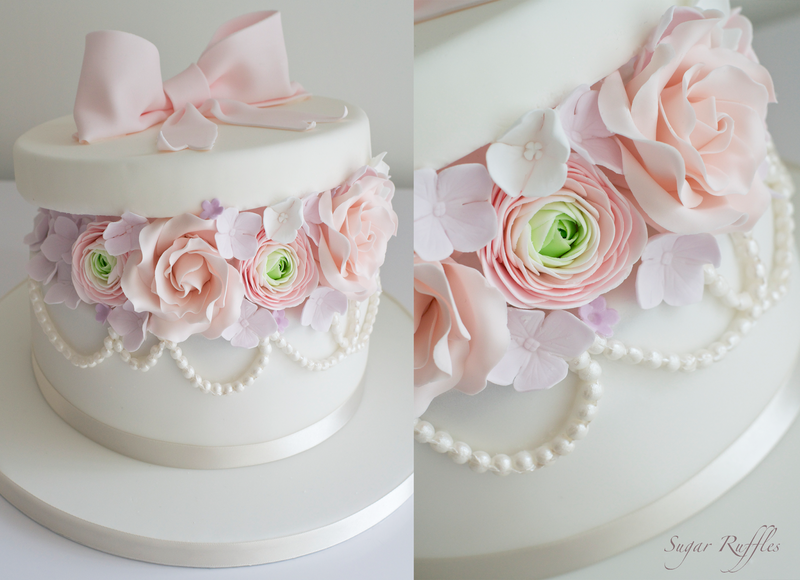 'Box of Flowers' birthday cake topped with a pink bow and filled with roses, ranunculus and hydrangea sugar flowers. Vanilla bean sponge layered with fruity summer berry buttercream. Happy Birthday Gill! Thanks for your lovely comment! The pearls are made from sugar and dusted with lustre dust to give a pearl-like sheen!